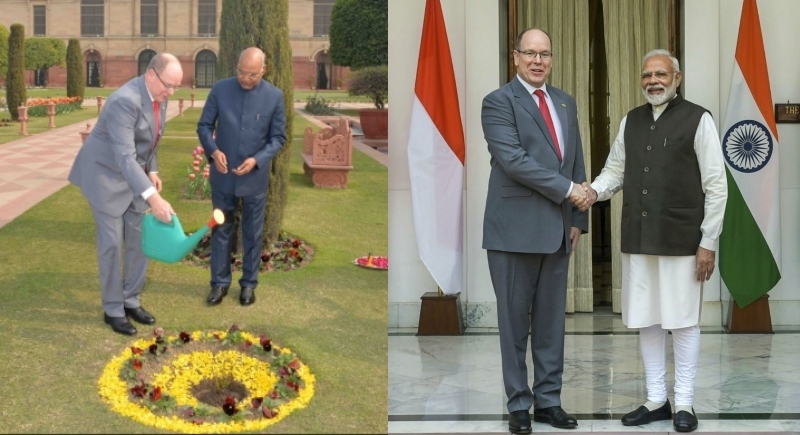 New Delhi, February 5: On his visit to India, the Head of the Monarchy of Monaco, Prince Albert II met with the delegates including honourable President of India Ramnath Kovind and Prime Minister of India Narendra Modi. This is the Prince’s first official visit to India since his accession as the head of the state of Monaco in 2005. President Kovind welcomed Prince Albert II at the Rashtrapati Bhavan today expressing, “India and Monaco have always enjoyed a relationship of trust, friendship and mutually beneficial cooperation. The current visit imparts a strong impetus towards taking the relationship to newer heights”. “India-Monaco ties are doing well. However, there is scope to do a lot more together”, said the President. A strong meeting of minds went between them on issues such as renewable energy, climate change and the environment. “We must prioritise these areas for bilateral cooperation. India is the fastest growing major economy in the world. Monaco’s technology and investment companies can significantly benefit from the Indian growth story”, added President Kovind. The President also hosted a lunch for the Prince and his accompanying delegation. Later, the Prince was seen planting the “Princess Grace Rose” in the Mughal Gardens, in memory of his late mother, actress Grace Kelly. Considering his passion for wildlife and environmentalism, the President also presented the Prince with a thoughtful gift. Prince Albert also got called upon by the Prime Minister of India Narendra Modi who warmly welcomed him at the Hyderabad House ahead of the bilateral meeting. The meeting saw a good exchange of views on enhancing cooperation, especially in environment & climate change and renewable energy through sharing best practices. Minister of External affairs, Sushma Swaraj also greeted Prince Albert and discussed opportunities for cooperation in areas of environment, especially renewable energy, investment into India, smart cities, marine ecosystems, tourism & people-to-people contacts. 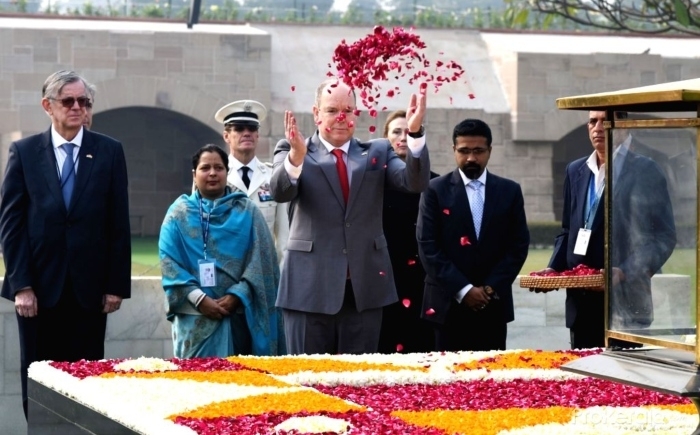 Earlier in the day, Prince Albert II also paid a floral tribute to Mahatma Gandhi at his Samadhi at Rajghat. He is scheduled to emplane for Monaco on February 10, following a private tour of India after the conclusion of his official engagements.